This is Jackson in the photo. 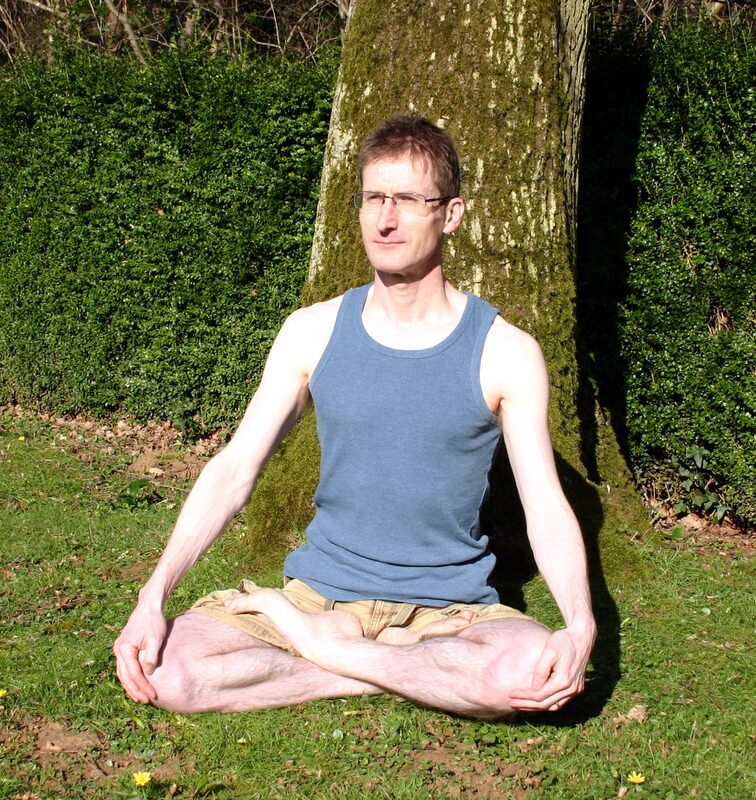 As you can see, he’s a skinny guy who does yoga and likes to meditate beneath trees (inadvisable during lightning storms). Jackson is an author and his first novel is called The Yoga Sutras. The Yoga Sutras is a book about a book, which is pretty much how Jackson sees the world – viewed at some distance through a prism. You could almost imagine that he’s a fictional character himself. Despite apparently having little to say about himself, Jackson isn’t shy. You can follow him on Twitter, Facebook, Tumblr and Pinterest and he even has his own website and blog. His second book, “Strange Thoughts, Random Mutterings”, is a collection of his 100 best blog articles, and is available for free on Amazon (UK and US), Kobo, Nook and iBooks. Jackson is a man of few words, as he saves his words for writing. He lists his hobbies as writing, yoga and social media, and spends all of his time doing these. Jackson never needs to sleep or use the toilet. Although he was born in 2014, Jackson feels much older, as if he has already lived another life vicariously. He declares himself to be a happy person and cheekily suggests that if you buy his book, you can discover the secret of happiness too. I like to think that Jackson does exactly what I tell him, but in fact he constantly surprises me with his outrageous ideas. I would be embarrassed to write the kind of books he writes. I think I’m better looking than Jackson. You know.. I wrote a blog about yoga. I cannot even imagine writing a book about it. Nice. Somewhere I can check it out? It’s a book that tends to get either 5 star or 1 star reviews! I tend to garner the same response- not necessarily about things I write- just in general.